Coconut trees and fishermen boats are common to see at beaches. 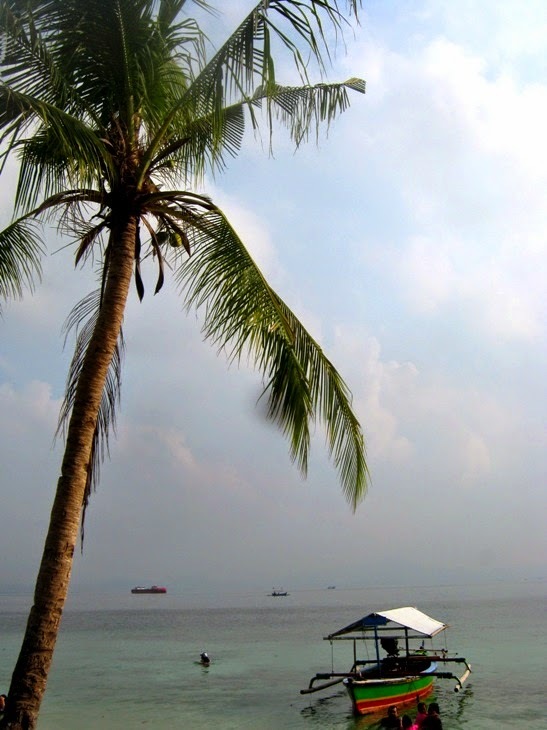 I love this wonderful seascape with palm tree in the foreground! Beautiful picture !! Hi Lina, a lovely scene beautifully captured. Pretty scene, I love the coconut trees.. Have a happy weekend! What a nice and peaceful sight. Beautiful… I really love seeing that palm tree… very inviting! Beautiful beach scene, love the palm tree!